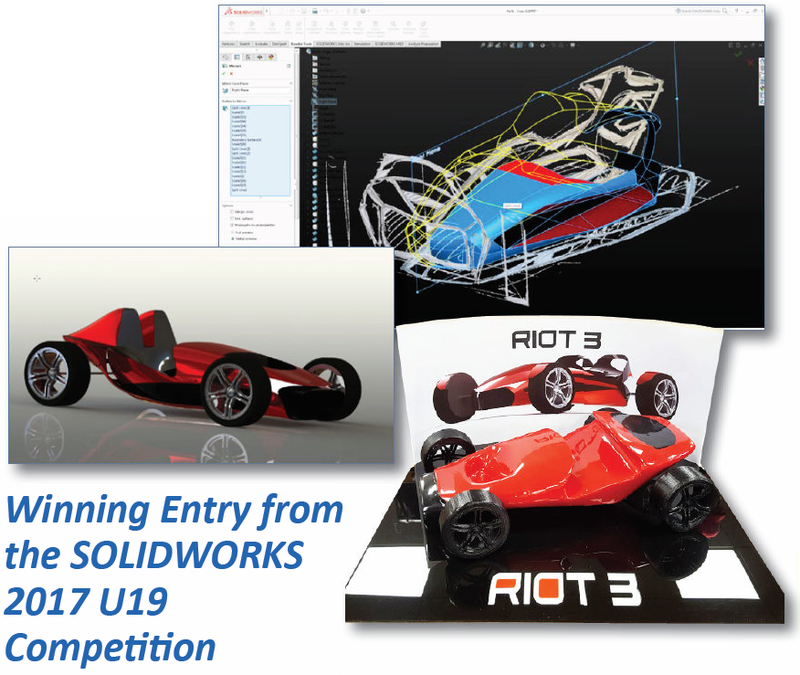 The Under 19 SOLIDWORKS Competition Winner went to Harry Weeks of Bournemouth School with his amazing ‘Riot 3’ Concept Car. Harry designed this model car using SOLIDWORKS, first creating 3D solid models, then using these to prepare suitable 2D profiles for laser cutting the pieces from MDF. The finished product was then painted with highly professional results. Harry explored the flow analysis feature of SOLDWORKS, and used PhotoView 360 to present realistic graphical renderings. Harry’s work displayed a clear understanding of the mechanical and graphical talents needed to succeed in any design and engineering related field. 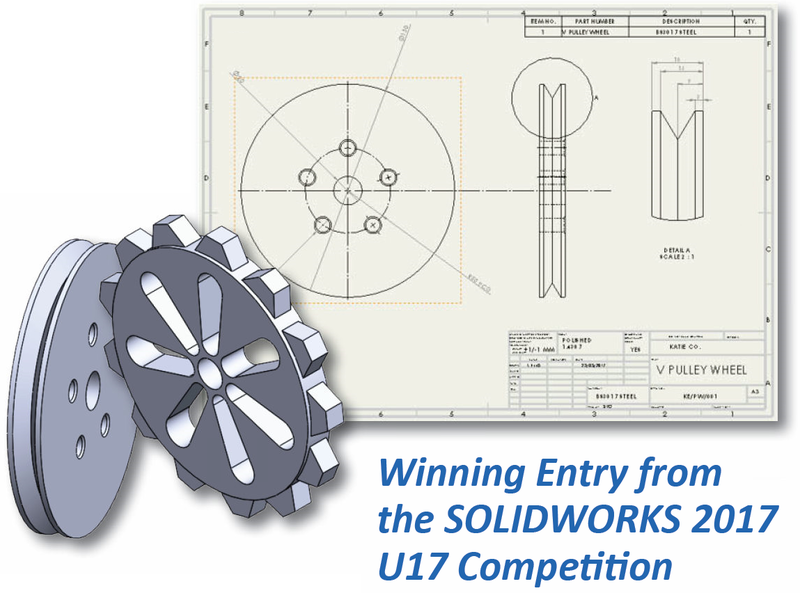 The Under 17 SOLIDWORKS Competition Winner went to Katie Ellis of Alec Hunter Academy, Essex with her British Standard (BS8888) Orthographic Engineering Drawings. 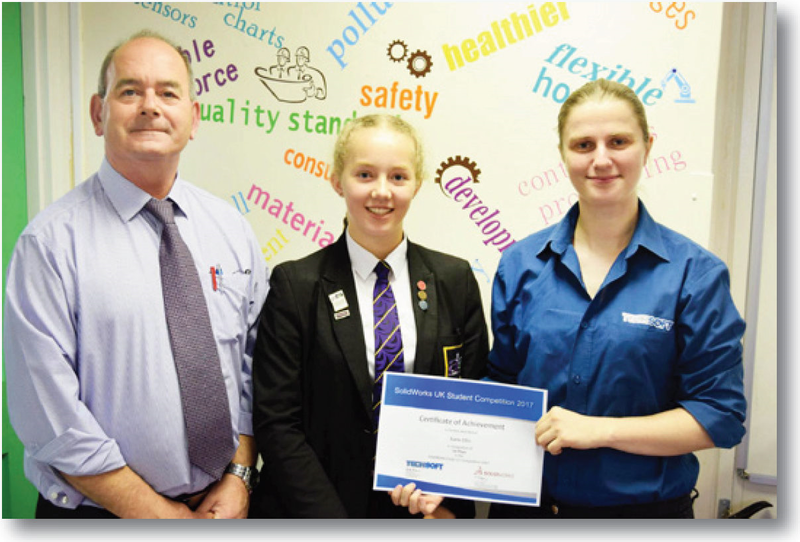 Katie produced some outstanding engineering drawings to BS8888 standard. Her drawings model flat plates, pulleys and gears as part of Unit 1 WJEC Level 1/2 Award in Engineering. Her detailed cross-sectional designs, complete with 3D graphical renderings and detail views clearly present all the information required at the manufacturing stage. SOLIDWORKS has been adopted across the education spectrum, and this industry standard design package is now becoming a mainstay within schools, colleges and universities. The iterative design process is encouraged by SOLIDWORKS, and it is great to see students taking advantage of features such as the built-in finite-element-analysis tools to predict how a product will react to real-world forces at the design stage.  When a valid model is ready for prototyping, models from SolidWorks can be produced on a wide range of CAD/CAM equipment such as 3D printers, and millers/routers. 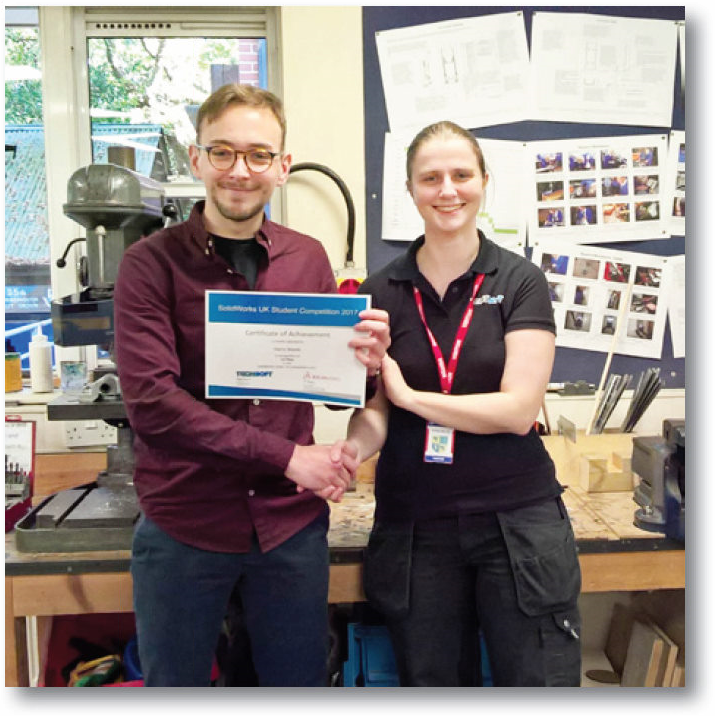 All entrants displayed a wide range of 3D CAD modelling skills, which not only puts UK schools at the forefront of design and engineering in education, but also gives school leavers an advantage in succeeding in an industry that has driven over £70bn into the UK economy. Congratulations to all the winners, and the hardworking, dedicated teachers and technicians involved. We are proud that you are keeping the Design & Technology flag flying high. You can safely say that Design & Technology is here to stay, and the young designers and engineers of the future will ensure that it remains one of the most important subjects for STEM, innovation and creativity.